Following the drastic fall in Naira value later last year 2015, the Nigerian Government had no alternative than place a ban on the deposits of foreign currency such as Dollar, Euro etc via counter. Bank customers were only able to deposit cash via online transfer and not by counter deposit. This particular decision taken by the CBN in line with the directive from the Federal Government brought to a standstill alot of businesses that relied on Foreign currency deposit to function. Now there is a good news. In a recent report by Gurranty Trust Bank, the ban on the deposit of foreign currency has been lifted as customers can now deposit money in cash via the counter, Below is a culled from the mail i received from Gurranty Trust Bank. I believe other banks would have followed the same step by now. "We are pleased to inform you that you can now make Foreign Currency Cash deposits into your GTBank domiciliary account(s) at any of our branches from Tuesday, 12thof January, 2016. Our resumption of this service is in response to the Central Bank of Nigeria’s (CBN) directive, issued on the 11th of January, 2016, authorizing Commercial Banks in Nigeria to resume acceptance of foreign currency cash deposits. 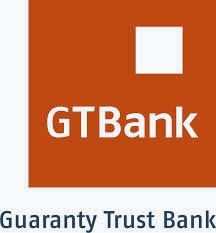 We appreciate your patronage and thank you for banking with us." Alot of persons should be happy about this recent development though. Let me hear you out via the comment box below.